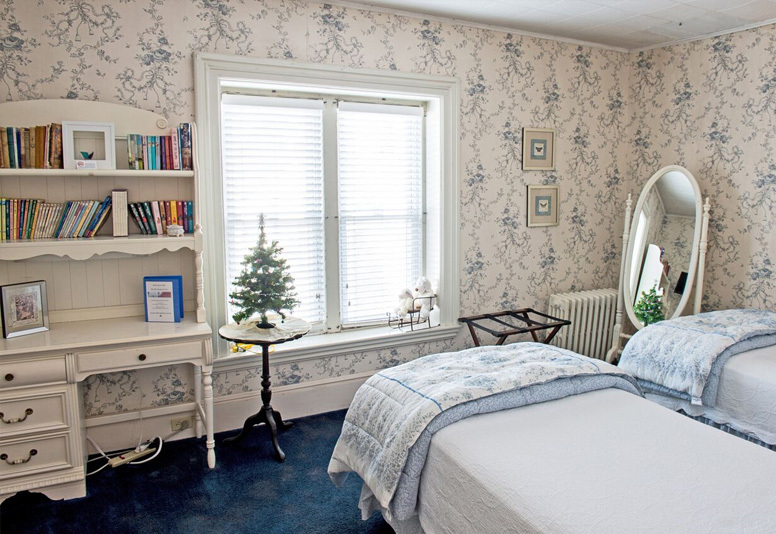 A cozy guest room with a lower ceiling, restful blue & white floral wallpaper adds to the décor’s softness. 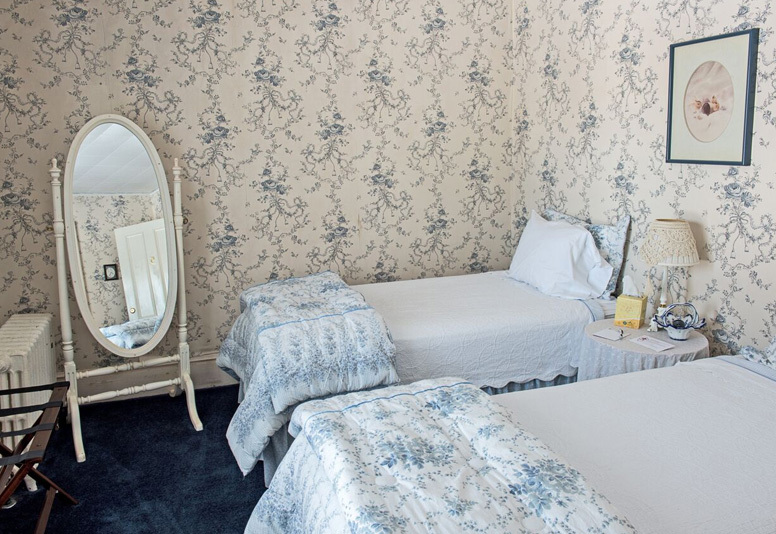 Twin beds wear delicate blue & white floral Laura Ashley bedding and can be put together to form a king. A small wall mounted flat screen TV is next to a desk with bookshelves holding antique children’s books sits beside the double windows. 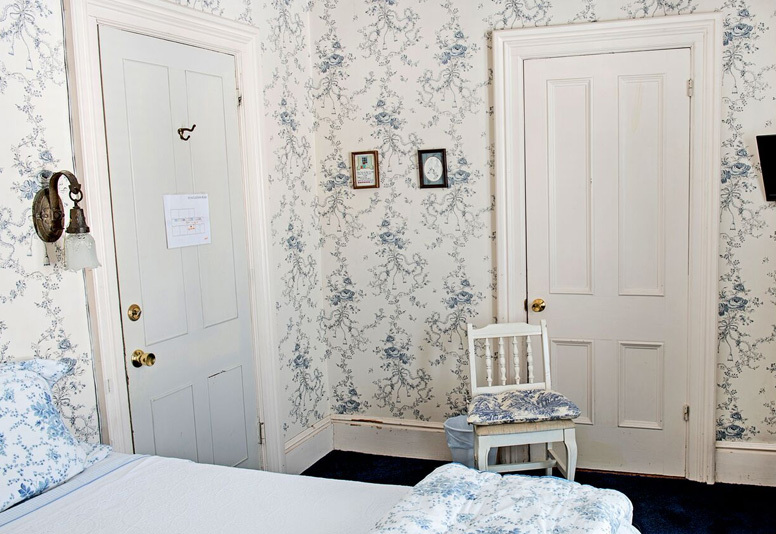 The mansion’s original bathroom across the hall is for the private use of Carroll room guests. One can enjoy a shower or a long soak in the original claw foot tub! Two plush bathrobes hang in the large closet for guests’ use.